An HVAC system is one of the most essential pieces of equipment in your home. When you are looking to install a new system, there are some things you should be aware of before you make your purchase. 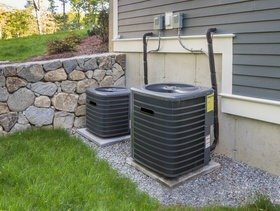 Here are a few things you should consider when choosing a new HVAC system for your home. Quality – There are so many systems in the market to choose from, and they vary depending on the quality. Local servicing – The HVAC system may have all the qualities you are looking for, but when it comes to maintenance, you may not find companies that service that particular model. It is important to think of the service providers around your location before buying equipment that will be cumbersome when it comes to finding people to maintain it. Size – The size of the HVAC system is another big thing to consider. This will depend on how big or how small your home is. If you choose a system that is too small for your living space, it will cause it to work harder than it is supposed to, causing it to wear out faster. There are similar problems associated with choosing a unit that is too large for your space.